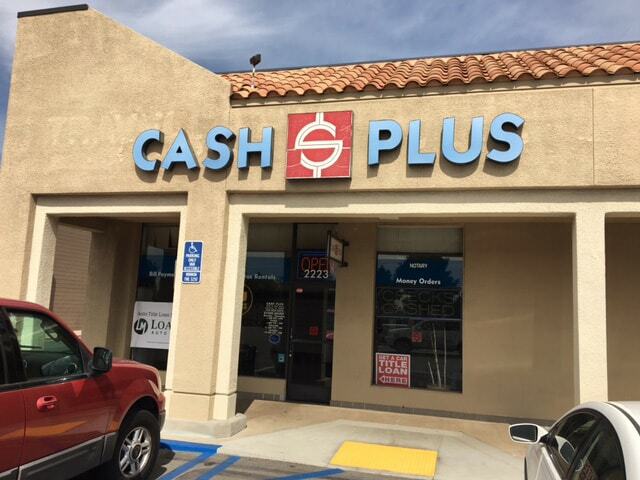 This Cash Plus is located in a shopping center near the corner of Ball Rd and Brookhurst St. Bus line #46 of the OCTA has a stop at Ball-Brookhurst, in front of the Jack in the Box at this location. Check Orange County Transit Authority’s website for more information regarding routes and regulations. This location neighbors Angelo’s Burgers, Jack in the Box, Subway, Walgreens, and Alberto’s Mexican Food. Financial stress is the worst, but how can it be avoided if you’ve got poor credit? Many lending institutions may turn you away. Not LoanMart—they provide flexible auto title loans in Anaheim that may get you qualified for up to $30,0001 in funds in as little as one business day3. An auto title loan is a type of loan that allows you to use the free-and-clear title to your qualifying vehicle to secure financial relief. You may continue using your vehicle free of restrictions as long as you make monthly payments. When payments are completed in full, LoanMart returns the original title to you in the mail. Customers with any credit score are welcome to apply for LoanMart auto title loans in Anaheim. They base their lending decision on unique qualifying factors that include a vehicle’s equity and your ability to make regular monthly payments. There are several different ways to begin applying for auto title loans in Anaheim with LoanMart. Choose a contact option below and a friendly and helpful staff member will assist you. Call toll-free directly at 1-800-LoanMart. Once approved, your agent will chat with you about how to receive your title loan check, courtesy of LoanMart and Cash Plus!